The Volkswagen Touran is a well-established MPV hero. Over the years it has scooped up an impressive amount of What Car? MPV of the Year awards, and there are plenty of reasons why. 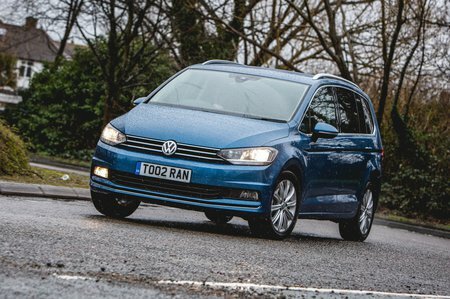 Where the Touran really shines is in how it doesn’t feel that different to drive than the Volkswagen Golf on which it’s based. Inside, too, you’ll find the same level of plushness as you do in the Golf, but with far greater practicality. So don’t think of this as some sort of van with windows; it’s more like a spacious hatchback, with handy sixth and seventh seats that pop out of the boot floor. All this seems like a brilliant recipe; something that’s plush, good to drive, practical, and has a fairly posh badge on the nose. If that wasn’t good enough, it’s also quite a bit smaller than full-sized MPVs like the Ford Galaxy and Seat Alhambra, and you’ll appreciate that when squeezing into the tightest of parking spaces on the school run. But is it a better choice than similarly priced rivals, such as the Citroën Grand C4 Spacetourer and Ford S-Max? And does it cut the mustard against the more expensive BMW 2 Series Gran Tourer? Read on over the next few pages to find out, and we'll also tell you which trim levels and engines make the most sense. 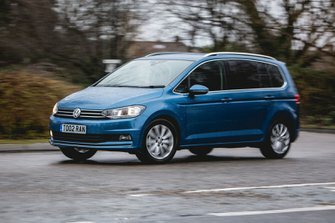 And if you do have your sights set on the Touran, don't forget to visit our New Car Buying page to see how much cash you could save.